While I was watching a larger harbor seal that was perched nearby, this smaller one climbed up onto higher ground for a little extra rest as the sun rose, before the incoming tide took away even this, its bed of tide pools. 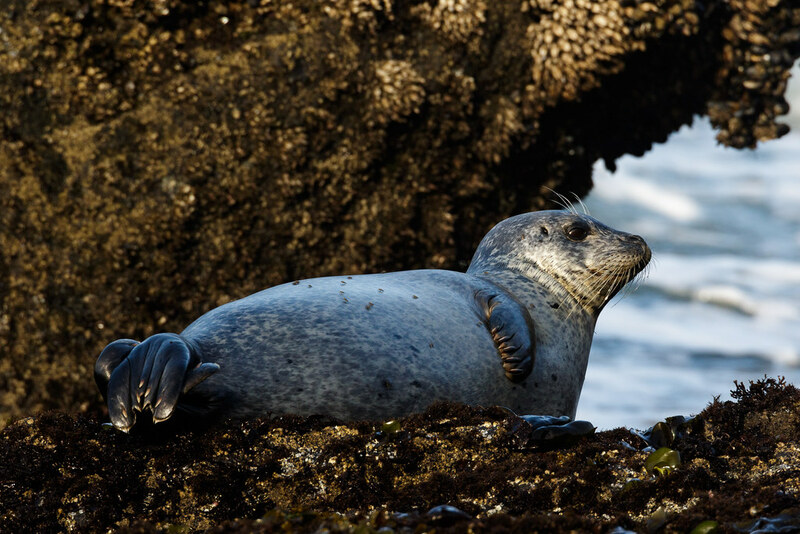 This entry was posted in Mammals and tagged Cobble Beach, harbor seal, Newport, Oregon, Oregon coast, resting, tide pool, Yaquina Head Outstanding Natural Area. Bookmark the permalink.